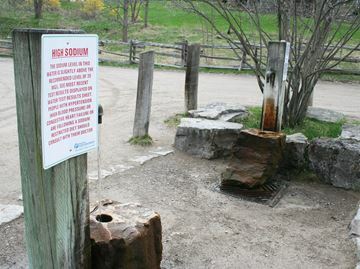 The Hamilton Conservation Authority is preparing to turn off the tap on a popular artesian well near Sulphur Springs Road because arsenic levels are about double a new legal limit set to take effect in January. Matt Hall, acting director of capital projects and strategic services, said the one-time source of Ancaster’s drinking water no longer meets new provincial standards allowing a maximum of 0.01 milligrams of the carcinogen per litre. Testing over the years has consistently put levels at between 0.017 and 0.023 mg per litre, which is within the existing limit of 0.025, he said. 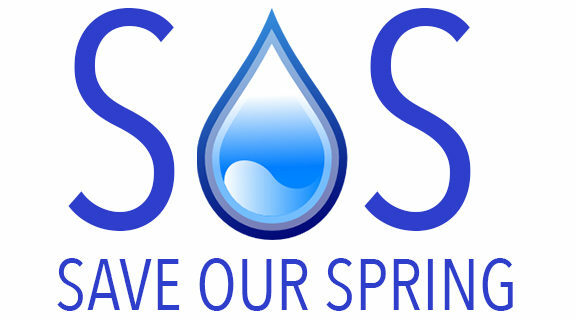 Hall said providing public drinking water has never been a core authority mandate and treating the well’s water could be expensive — a 2002 report estimated capital costs of $30,000 to more than $500,000 and an annual maintenance bill of $35,000. He said treatment also raises safety issues for staff, and the authority can’t ignore the new standard because people who use the well tend to do so regularly. “It forces us to react,” Hall said in a presentation to the authority’s conservation advisory board, which voted 10-1 to back a staff recommendation to decommission the well. The prospect of losing her drinking water source for the past 12 years “shocked” Greensville resident Elsa Rebuli, who was filling up several jugs for her household when a reporter dropped by the well prior to the April 13 advisory board meeting. She said she’s never had a problem with the water and began using it on the advice of her home’s previous owner. “They can’t close this. Look at all the people that come here. It’s always busy,” Rebuli said as two other cars of people pulled up to fill jugs from two taps provided by the authority. But Eric Mathews, manager of the safe water program for Hamilton’s public health services, told the advisory board the risks from arsenic are different than those from the well’s high sodium levels. The latter is a problem for those who should avoid salt because of high blood pressure or other ailments, while elevated arsenic affects everyone, he said. Only advisory board member John Barkovic opposed shutting the well, arguing the risks from arsenic are minimal. According to a staff report, a community of 385,000 people drinking 1.5 litres of water per day at the new limit for 70 years would experience one additional cancer. “If I lived nearby and I liked this water, and those facts were known to me, I’d still drink it. I wouldn’t drink a litre and a half a day, but I’d continue to use it,” Barkovic said. But chief administration officer Lisa Burnside said the new standards are a legal regulation the authority must follow.